When I was in NYC for Blogher10, we listened Gavin Degraw live singing some of his original songs, as mentioned in my earlier post during a party. It was a really fun time so I decided to share one of my recordings. I think many of you will recognize this one. Here he is at the Stone Rose, singing I Don’t Want to Be. 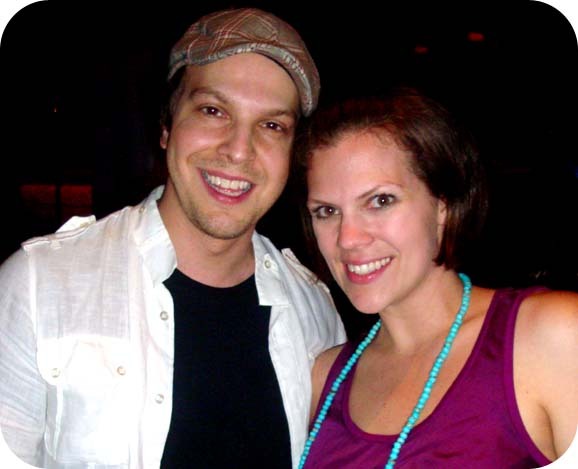 And here’s a photo of me with Gavin DeGraw! This was such a fun surprise! It was a great evening all around. Have you ever had a surprise concert during a party? This was definitely a night to remember!